High glycemic foods (sugar, high fructose corn syrup, whole wheat bread), vegetable oils, xenoestrogens, and other poor food choices found in grocery stores and fast food outlets are highly toxic to your body’s metabolism and should be avoided in a healthy diet. It is widely known that sugar makes you fat, and gives you excess calories with little in the way of healthy nutrients. Small amounts of natural sugar are not a problem. However, when you eat a piece of cake and ingest 40-50 grams of sugar in one sitting, or a bag of candy with 35 plus grams of sugar, or drink a soft drink with 45 grams of sugar or more… Or even a so-called “healthy smoothie at the local smoothie shop that contains a whopping 80 grams of sugar, equal to 320 Calories, because of the many fruit syrups that are included in them. Sugar causes extreme fluctuations in blood sugar, and excess blood sugar causes Glycation inside the body, which accelerates the rate of aging in organs, including skin, arteries and joints. Sugar also raises triglyceride levels to dangerous levels, which can lead to heart disease. High sugar levels can cause type 2 diabetes because, over time, high glucose levels lead to insulin resistance. High sugar levels also diminish the activity of white blood cells, making infections more likely, and even allowing cancer cells a better chance to spread throughout your body. All breads, bagels, cereals, muffins, and other baked goods cause higher blood sugar levels than carbohydrate sources found in vegetables. However, wheat contains an unusual type of carbohydrate not found in other grains called Amylopectin-A, which has been found in some tests to spike blood sugar levels higher than even pure table sugar. In fact, Amylopectin-A (from wheat) raises blood sugar levels more than almost any other carbohydrate source based on blood sugar response testing that has been documented in numerous studies. For example, Mike Geary, a certified nutritional expert, performed a blood sugar test using his blood glucometer 45 minutes after he had eaten 2 slices of wheat bread vs a bowl of oatmeal, with equivalent grams of carbohydrates. 45 minutes after consumption, blood sugar spiked from 86 fasting level to 155. Because wheat has a higher glycemic index, it maximizes blood sugar elevations leading to cellular glycation, rapid aging, weight gain and increased diabetes risk. First off, High Fructose Corn Syrup (HFCS) has been added to whole wheat bread to improve the taste. Second, most of the wheat bread found in stores is actually white bread dyed brown. High blood sugar levels cause “glycation” in the body due to Advanced Glycation End Products (AGEs). AGEs speed up the aging process throughout the body damaging all of your organs and tissues, including joints, arteries and skin. Over time High blood sugar levels dramatically increase the levels of AGEs in your body. This is why type 2 diabetics frequently look older than their real age. However, this age-increasing effect is not just limited to diabetics. The truth is that even if you are not officially “gluten intolerant” or “gluten sensitive“, there are numerous published studies that indicate that gluten can cause inflammation in your digestive system, and even cause “permeability” changes in your gut, which can lead to a health condition called Leaky Gut, as well as other digestive issues and autoimmune problems. One of these antinutrients, called phytates, block the absorption of certain minerals like zinc, iron, manganese, and calcium. Since most people eat wheat with every meal (cereal in the morning, bread on sandwich at lunch, and pasta or bread at dinner), excessive wheat intake may also cause a mineral deficiency in your body over time that leads to other health issues. Wheat has other mineral blockers and antinutrients aside from phytates, such as lectins. Lectins are another constituent of wheat that causes gut irritation. This is another reason to minimize or eliminate wheat from your diet. There’s absolutely nothing “essential” about wheat in the human diet…It simply does more harm than good. Vegetable oil actually comes from any combination of corn oil, soybean oil, canola oil, safflower oil, and/or cottonseed oil, all of which are loaded with toxic chemicals that appear during the harsh conditions used to process these oils. Here are three important reasons why processed vegetable oils are toxic to your health. You know you should stay away from foods that contain partially hydrogenated vegetable oils. However, refined vegetable oils contain trans fats due to the extremely high heat, solvents, and pressure they are exposed to during the refining process. And this includes so-called “expeller pressed” vegetable oils as well. All of this high heat and high pressure processing along with the use of hexane solvents actually forces some of the polyunsaturated content of vegetable oils (yes, even so-called “healthy” canola oil) to be transformed into trans fats and something even worse called “MegaTrans” fat. According to Mary Enig, a nutritional biochemist, “Although the Canadian government lists the trans fat content of canola at a minimal 0.2 percent, research at the University of Florida at Gainesville, found trans fat levels as high as 4.6 percent in commercial liquid canola oil“. Free radicals formed during the refining of vegetable oils create these “oxidized” or “mutant” fats, which may damage cell membranes and chromosomes, which lead to massive inflammation in your body. All vegetable oils contain oxidized fats due to the refining process, which alters the polyunsaturated fat contained in vegetable oils. Expert Nutrition author, Catherine Shanahan, MD, calls the fats in vegetable oils “MegaTrans”, because they are similar in chemistry to trans fats, but appear in higher concentrations. And MegaTrans from vegetable oils are found in virtually ALL restaurant fryers and almost ALL processed packaged foods, as well. Catherine Shanahan, MD, cites in her book Deep Nutrition a study from New Zealand that showed that subjects who ate french fries from a restaurant fryer displayed immediate harm to endothelial function in their arteries, going from a normal 7% dilation before eating the french fries to 1% dilation AFTER eating french fries. Vegetable oils are mostly made up of inflammatory omega-6 fats, while having very little anti-inflammatory omega-3 fats. The healthiest ratio from the scientific literature appears to be a ratio of 2:1 or even 1:1 for your omega-6 to omega-3 ratio. However, most vegetable oils skew your ratio as high as 20:1 or even 30:1 in favor of harmful inflammatory omega-6 fats. These omega-6 fats are the “mutant” damaged MegaTrans type that harm the tissues of your body. As a quick note, the solution to all of these major problems with vegetable oils is to use healthy oils like coconut oil, olive oil, macadamia oil, avocado oil, and grass-fed butter, all of which are much healthier than vegetable oils and don’t cause any of the problems described above. Xenoestrogens are chemicals in the food supply and the environment such as pesticides, herbicides, and certain petrochemicals from air and water pollution, household cleaners, plastics, cosmetics, etc. that can react with your hormones and make your body store excess abdominal fat. Cruciferous vegetables such as broccoli, cauliflower, brussels sprouts, kale, bok choy, cabbage, etc. contain very specific and unique phytonutrients such as indole-3-carbinol (I3C) that help to fight against these estrogenic compounds. Healthy alternatives to soy milk, which is loaded with inflammatory substances, are coconut milk and almond milk that contain healthy fat and protein. Because sugar, wheat, and vegetable oils are toxic components, you should think twice about eating cereals, breads, bagels, muffins, candy, and processed foods or fried foods from grocery stores and restaurants. Foods that are fried or cooked in hot vegetable oils are particularly toxic to one’s health. 1 scoop of powdered milk (I use Meyenberg powdered goats milk, but you could also use Carnation powdered milk too) in a small plastic bag or container. Just add water and you've made a fresh shake, with very little hassle. The solution in India and other developing countries has to include prevention, which means promoting healthy eating and physical activity. It’s not easy: We have by no means succeeded in the United States. In India, it will require better policies that favor fruits and vegetables over refined-food products. F4 dramatically reduces the need for pharmaceutical drugs and therefore lowers cost. Dr. George Scheele, creator of Factor4. The portion of the population with diabetes is higher in the United States than in India or China. But the number of people with the disease in India or China is much greater — and expected to increase. In the United States, diabetes tends to be a disease that, while certainly not benign, is eminently manageable. Just this month, federal researchers reported that health risks for the approximately 25 million Americans with diabetes had fallen sharply over the last two decades. Elsewhere on the globe, however, diabetes plays out in a dramatically different fashion. Patients often lack access to care and can’t get insulin, blood pressure pills and other medicines that diminish the risk of complications. As more and more people develop the disease, hospitals may soon be overrun with patients experiencing all of its worst outcomes: blindness, limb amputation, kidney failure (necessitating dialysis), coma and death. Within the last few decades, South Asia has experienced a rapid economic transition paralleled by an epidemiological shift in disease patterns. Recently, when I returned to India for a yearlong fellowship, I saw this for myself. Indians are now living more sedentary lives, working in banks, labs and call centers; all the while, their diet is changing, as they eat out more and consume foods higher in calories, sugar and saturated fats. The costs associated with diabetes are enormous; they include expenses related to acute and chronic complications, the costs of therapies to prevent them, and the fact that those affected may be unable to work and support their families. Many patients are pushed into bankruptcy. In India, only 10 percent of people have medical insurance, and patients cover most expenses out of pocket. In some low- and middle-income countries, diabetes patients living on $1 or $2 per day would need to spend as much as 50 percent of their monthly income to buy just one vial of insulin. Additional materials such as syringes, needles and glucose monitoring tests push costs even higher. Need for low cost improvement in diet, incluindg fermented products like yogurt. One opportunity involves India’s Mid Day Meal Scheme, a program that provides lunches to 120 million children. The program has been tainted by corruption and deadly contamination problems, but as the Indian government addresses these issues, it also has a chance to reshape the dietary habits of many young people. Exercise is the other crucial element. Taking a jog or even walking to work in Indian cities often means choking on exhaust fumes and dodging speeding cars. Creating more sidewalks and bike paths could go a long way. In one major government hospital, I saw lines of pharmaceutical representatives with glossy pamphlets and drug samples waiting to speak with clinicians. Some classes of drugs they’re pushing, such as incretin mimetics — which are injected to lower blood sugars — are very costly, and though they are approved for use in both the United States and India, we don’t know enough about their safety in the long run. They don’t appear to lower blood sugar levels any better than cheaper alternatives like metformin, which comes as a pill and is considered the best first choice for many people with diabetes. In America, expenditures on diabetes medications have soared as newer drugs have been rapidly adopted. India desperately needs to create evidence-based guidelines that take into account cost-effectiveness so that marketing doesn’t drive treatment. But even the best medicines will not work without a well-functioning health care system. Diabetes care is not a quick fix. You can’t take a pill for 10 days and be cured. It means working with a clinical team to control the disease month after month, year after year. This requires a system that is geared toward chronic care, which in many countries simply doesn’t exist. In India, there is now a call for universal health care. This is encouraging but is a long way from being realized. In the meantime, India could leverage the lessons learned from many successful H.I.V. programs throughout the developing world that have empowered communities to deliver complex clinical services to millions of people at low cost. If you like a little crunch, an interesting chew and a chance to eat your veggies too, this is a winner. Confidential Document: All rights reserved. No part of this document may be reproduced or transmitted in any form or by any means, electronic or mechanical, including photocopying, recording, or any other information storage and retrieval system, without the written permission of the publisher. When people compare the list of amino acids on the labels for Factor4 and Protein Powders, they appear to contain the same amino acids. Further when they compare the amount of total amino acids in grams, protein powders have more amino acids than Factor4. At first blush, then, the consumer would seem to prefer the protein powder to Factor4 given the increased quantity of amino acids. 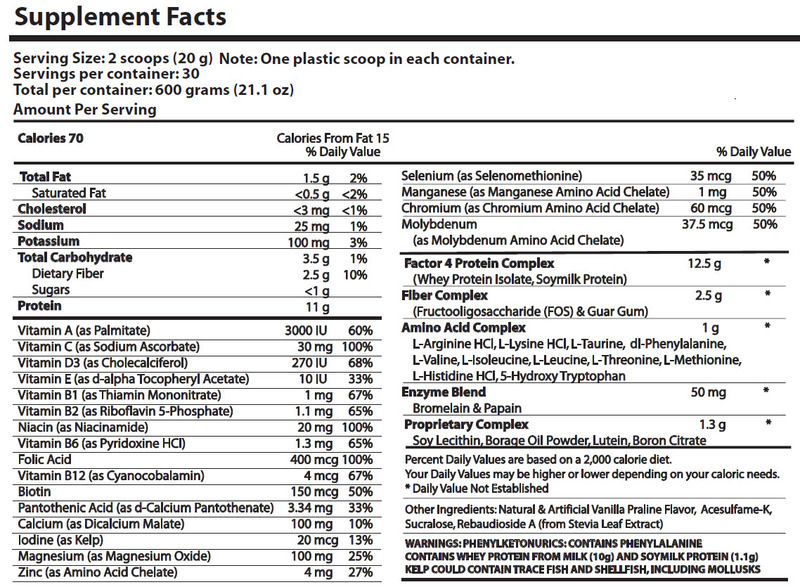 In a market brimming with numerous protein products why did Dr. Scheele formulate Factor4 as an amino acid powder rather than a protein powder. The answers to this question lie in the 40 years of scientific investigation that Dr. Scheele conducted on amino acids and proteins at some of the most renowned institutions in the United States. The answers lie in the 1200 page book which Dr. Scheele conceived and edited, entitled The Pancreas: Biology, Pathobiology, and Disease, published by Raven Press in 1983 and in revised form in 1993. This book reviews more than 50 years of scientific research supported by the National Institutes of Health related to dietary intake, gastrointestinal digestion, and body metabolism. 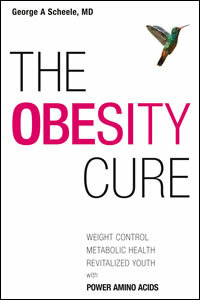 The answers are more fully developed in The Obesity Cure, Dr. Scheele’s recent book which will appear in bookstores in June, 2012. The crux of the comparison lies in understanding the differences in how the body handles “free” and “protein-bound” amino acids. This document is designed to provide the critical differences between amino acid products such as Factor4 Weight Control® and protein powders which appear in health-food stores. Once you review this document you will be astonished at the superior efficacy of Factor4 over protein powders. Protein powders are excellent for building muscle and maintaining body health. However, protein powders have never been shown, in clinical studies, to work beneficially as weight loss products. This is why the FDA has never allowed any of the protein products to provide “hard” claims related to weight-loss health. When proteins are consumed by the body they need to be digested to release their protein-bound amino acids for absorption into the body. The digestion process takes hours to days and relies on the secretion of pancreatic enzymes and the release of bile into the intestinal tract. Without stimulating pancreatic secretion and gallbladder contraction, most of the protein remains undigested and passes into the stool. The International Nutrition Research Center has studied the utilization of protein-bound amino acids extensively. They report that the net nitrogen utilization (NNU) of protein powders average 17%. This means that 83% of the protein is passed as waste from the body. By comparison, free amino acids delivered in the diet are absorbed by the intestinal tract and utilized by the body at levels which approach 99%. Thus, free amino acids show NNU levels that are 6-times more efficient than protein-bound amino acids contained in protein products. By further comparison, food products (meat, poultry, fish and eggwhites) appear to be utilized at levels between 35% and 50%. What we learn from 50 years of research reported in The Pancreas is that protein by itself does not stimulate the pancreas to secrete its digestive enzymes or the gallbladder to release its bile. So these scientific studies would explain why protein powders are poorly utilized by the body. Furthermore, release of amino acids from protein takes hours to be absorbed into the body. This means that the beneficial effects of protein-bound amino acids in controlling satiety are greatly limited and in most cases, undetectable. Furthermore, while the amino acid profile contained in commercial protein powders is optimal for building muscle, it is suboptimal for building regulatory proteins, including positive-charged metabolic enzymes and DNA regulatory proteins. From the research of Dr. Scheele and others, summarized in The Pancreas, we learn that essential amino acids and fatty acids are powerful stimulants of enzyme secretion from the pancreas and bile release from the gallbladder. Both essential amino acids and fatty acids release the hormone cholecystokinin (CCK) from the intestinal mucosal cells and it is CCK that is the potent stimulator of pancreatic secretion and gallbladder contraction. As such CCK is the most important hormone in the body to regulate the efficiency of digestive processes. CCK is also the most important hormone to signal satiety in the appetite centers of the brain and stomach. Act as neurotransmitters to signal satiety to appetite centers in the stomach. Optimize the release of the hormone cholecystokinin from the intestine to provide further satiety signals to the brain and stomach. Dr. Scheele discovered that metabolites and analogues of essential amino acids exert even greater satiety effects on the brain and stomach, so he included satiety amino acids together with the essential and positive-charged amino acids contained in the Factor4 Weight Control®. These satiety amino acids begin to act within 5 to 10 minutes of ingestion and continue to act for hours to reduce appetite. Dr. Scheele discovered, through his invention of 2D gel electrophoresis, that protein deficiencies, which accompany the high carbohydrate content in the Modern American Diet (MAD), lead rapidly to a profound loss in positive-charged proteins throughout the body. These deleterious changes lead to an imbalance in metabolic pathways that result in the metabolic diseases associated with the metabolic syndrome, including overweight disorders and obesity. Because humans and other vertebrates do not produce essential and positive-charged amino acids, including the positive-charged amino acids Lysine, Histidine and, in certain cases, Arginine, which is conditionally essential, this constitutive deficiency in amino acids corroborated the loss of positive-charged proteins observed in his 2D-gel nutritional studies. In accordance with these new discoveries, Dr. Scheele created a proprietary blend of essential, positive-charged, and satiety amino acids that he trademarked as Power Amino Acids®. To complete the formulation of Factor4 Weight Control® Dr. Scheele added 10-12 grams of protein to sustain the positive benefits of Factor4 Health overtime following the absorption of the free power amino acids. In the presence of essential amino acids to stimulate pancreatic secretion and bile release from the gallbladder, the efficiency of protein digestion can be expected to increase up to 20-times. Thus 10 grams of protein in a single serving of Factor4 provides amino acid utilization levels comparable to 100 grams of pure protein. 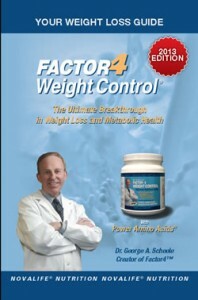 The successful formulation of Factor4 Weight Control® depended on Dr. Scheele’s unique understanding of the role amino acids, proteins, hormones and neurotransmitters play in feedback mechanisms which regulate digestive health, metabolism, and body weight throughout the animal kingdom. The science behind Dr. Scheele’s Factor4 formulation is so unique that it received patent protection (US Patent 7,982,066) in 2011. Through the dedicated efforts of Dr. Scheele over the past 40 years, we now have a unique product in a new class of dietary supplements with imprimis credentials to tame appetite, satisfy food cravings, increase energy and optimize fat-burning potential. This new class of dietary supplements combines a certain group of free amino acids (power amino acids®) with protein-bound amino acids (health plus protein™) to utilize the body’s hormonal and neural feedback mechanisms to optimize metabolic health and weight control. The combination of the two ingredients provides the synergy to achieve extraordinary results. Factor4 Weight Control® is so effective in stimulating weight loss health that 24 out of 25 subjects lost significant weight over a three month period and continued to lose weight when the study was extended to 6 and 12 months. The table below summarizes the weight loss results as average values. As the FDA requires a 5% reduction in body weight over 12 months to justify weight loss claims, Factor4 exceeds this threshold level by more than 3-times. Based on Dr. Scheele’s discoveries which led to the unique formulation of Factor4 Weight Control® we may now summarize the multiple benefits of Factor4 Health. The rapid uptake of essential, positive-charged and satiety amino acids (Power Amino Acids®) which begins in 5 to 10 minutes and continues for 60 to 90 minutes (free amino acids) and 4 to 6 hours (protein-bound amino acids) provides unique results that may not be obtained with individual ingredients alone. Rapidly closes the food chain gap to correct deficiencies in positive-charged amino acids, proteins, and enzyme-driven metabolic pathways. By rebalancing metabolic pathways, Power Amino Acids stimulate fat metabolism. Tames (reduces) appetite to avoid addictive taste disorders and prevent food cravings, thus allowing reduction in caloric intake without hunger. Factor4 shakes provide feelings of comfort, satisfaction and well-being within minutes of ingestion and continue to control appetite for hours. Increases lean body mass (muscle tissue) which improves energy and helps burn fat. Increases body energy without the yo-yo metabolism of sugar, high-fructose-corn-syrup, caffeine or guarana. Increased energy stimulates the desire for exercise. Retains anabolic health at reduced caloric intake which prevents catabolic reactions including starvation and hibernation mechanisms. Improves the digestive process by stimulating Cholecystokinin (CCK) release which stimulates secretion of pancreatic digestive enzymes into the digestive track. Helps prevent formation of gallstones and associated gallbladder and liver disease by stimulating CCK-dependent gallbladder contraction. Helps promote a natural cleanse of the GI tract through gallbladder contraction which enhances ileal and colonic evacuation. Enhances regularity in bowel movements and prevents constipation through the same natural cleansing mechanisms. Improves health in all the organs and tissues of the body, including the brain. Improves dietary health in the 8 major health systems in the body which includes (i) Body Weight and Energy, (ii) Beauty Health, (iii) Mental Balance/Health, (iv) Digestive Health, (v) Metabolic Health, (vi) Immune Health, (vii) Sexual and reproductive health, and (viii) Aging Health. Helps to normalize body weight, improve body definition, and increase pep, energy, activity, stamina, endurance and performance. Promotes healthy lifestyles, including increased satiety, improved diet, exercise, sleep, attitude, and less dependency on sugar, caffeine and alcohol. Helps combat metabolic risk factors, including high blood pressure and increased levels of cholesterol, triglycerides and sugar in the bloodstream. Helps combat chronic degenerative diseases associated with the metabolic syndrome, including obesity, hypertension, hypercholesterolemia, type-2 diabetes, cardiovascular disease, and gallbladder, liver and kidney disease. Helps combat inflammatory diseases, including autoimmune diseases and cardiovascular disease. Helps promote anti-aging health with increased longevity and quality of life evidenced by reduced chronic degenerative disease and enhanced feelings of comfort, satisfaction, and well-being. Combats loss of productivity and accelerated aging. Helps combat alcohol dependency disorders and alcoholism. Helps combat stress-related disorders including depression, anxiety, anger, rage, aggression and post-traumatic Stress Disorders. Helps promote body repair and tissue healing. In the comparison between commercial protein powders and Factor4 Weight Control® we may conclude the following. Out of the 20 benefits observed with Factor4 Weight Control®, commercial protein powders are estimated to compete with only 3 of these claims (3, 4, and 9). In each of these three endpoints, the response to protein will be small compared to that of Factor4 Health. Among the synergistic endpoints (claims 10 to 20) commercial protein powders may be considered to show little if any detectable results. 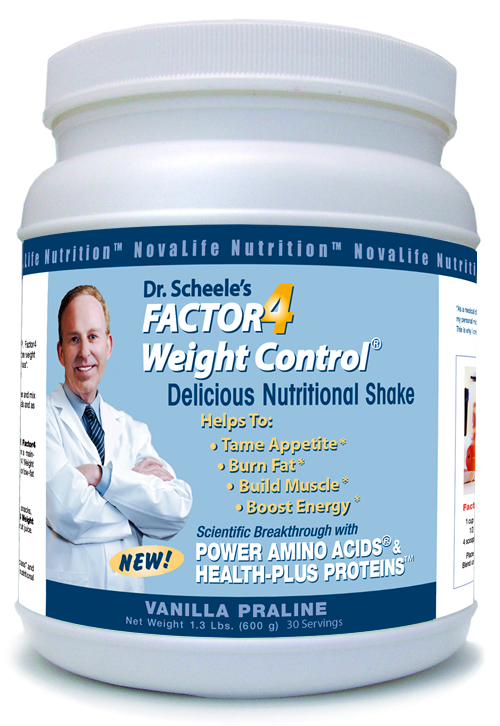 Based on the comparison between Factor4 and protein powders, it is clear that NovaLife has introduced a new class of dietary supplement designed to optimize weight loss health. The Factor4 Health technology utilizes a unique combination of free and bound amino acid blends to achieve health benefits that far exceed the benefits observed with individual ingredients. Factor4 Weight Control® is unique in its ability to normalize body weight as well as improve metabolic parameters and risk factors associated with the Metabolic Syndrome. As such Factor4 Weight Control® has the imprimis credentials to provide first-in-class benefits for health and wellness programs around the world. WASHINGTON — “Get a gym body without going to the gym” by sprinkling a powder on your food. “Significantly slim your thighs and buttocks” using an almond-scented cream. Lose up to one pound a day with just two drops under the tongue. Such claims were too good to be true, according to the Federal Trade Commission. On Tuesday, the commission charged four companies with deceptively marketing weight-loss products, asserting they made “unfounded promises” that consumers could shed pounds simply by using their food additives, skin creams and other dietary supplements. The four companies — Sensa Products, L’Occitane, HCG Diet Direct and LeanSpa — will collectively pay $34 million to refund consumers. They neither admitted nor denied fault in the case. The case is part of a broader crackdown on companies that the government says “peddle fad weight-loss products.” Linda Goldstein, the chairwoman of the advertising and marketing division at the law firm Manatt, Phelps & Phillips, said the settlements made clear that the commission would accept only double-blind, placebo-controlled studies to document the medical effectiveness of diet regimes. The commission is also proposing new guidance for media outlets to help them catch potentially fraudulent claims. The F.T.C. said it would urge media companies not to accept advertisements that make dubious weight-loss claims. The weight-loss industry has exploded in recent years. Consumers are expected to spend about $66 billion this year on diet soft drinks, health club memberships, dietary supplements and other products aimed at weight loss, according to Marketdata Enterprises. But that growth comes with potential pitfalls. Weight-loss products accounted for 13 percent of the fraud claims submitted to the F.T.C. in 2011, the most recent data available. That is more than twice the number in any other category. The F.T.C.’s latest initiative, called “Operation Failed Resolution,” follows a series of enforcement efforts in recent years against unfounded weight-loss schemes. In 2004, the commission announced “Operation Big Fat Lie,” charging six companies with false marketing. Among the fraudulent products that year was Himalayan Diet Breakthrough, a diet pill containing Nepalese mineral pitch, a pastelike material that “oozes out of the cliff face cracks in the summer season” in the Himalayas. The seller, AVS Marketing, claimed that users could lose as much as 37 pounds in eight weeks while still consuming unlimited amounts of food. In 1997, “Operation Waistline” targeted seven companies that marketed the weight-loss properties of products like “Fat Burners” diet supplements, “Svelte-Patch” skin patches, and “Slimming Soles” shoe insoles. Separately, the F.T.C. has also pursued dozens of cases against companies operating fake news sites that promote the weight-loss characteristics of acai berries. Over the last decade, the F.T.C. has also lobbied the media industry to stop accepting ads for weight-loss products whose claims are too good to be believed. That year, the commissioned announced its Red Flag education campaign for media companies to help them spot dubious weight-loss claims. In that time, the commission has seen “a significant reduction in the number of ads appearing” in major media outlets that screen advertising content before use, said Richard Cleland, an F.T.C. lawyer. As part of the recent spate of cases, the commission noted that one marketer piggybacked on the reputation of well-known media outlets as cover for their claims. For example, one television commercial for Sensa noted that Dr. Alan Hirsch, the creator of the product and a part-owner of the company, had “appeared on ‘Oprah,’ ‘Good Morning America,’ ‘Dateline,’ ‘Extra,’ the CBS ‘Early Show,’ CNN” and in hundreds of magazines and newspapers around the country. Sensa charged $59, plus shipping and handling, for a one-month supply of the powder. The powder was supposed to be sprinkled on food to make users feel full faster, so they ate less. The commission imposed a $46.5 million judgment on the company, which sold $364 million of Sensa in the United States from 2008 to 2012. But the company will remit little more than half the settlement amount “due to their inability to pay,” officials said. Sensa officials did not respond to phone calls seeking comment. Dubious weight-loss claims are not limited to fledgling companies that advertise on late-night television. L’Occitane agreed to pay $450,000 to refund customers. An F.T.C. official said that amount would provide for a refund of “substantial portions” of consumer spending on the products. The commission also settled claims against HCG Diet Direct, which sold HCG Diet Direct Drops. The product contains a form of a hormone naturally produced by human placenta that has been “falsely promoted for decades as a weight-loss supplement,” the commission said. LeanSpa settled charges that the company and its principal executive used fake news websites to promote acai berry and colon cleanse weight-loss products. Consumers were charged recurring monthly payments after signing up for a supposedly free trial, the commission said. Australian researchers have shown that rats on a diet high in fat and sugar had impaired memories after almost a week, suggesting an additional neurobiological dimension to unhealthy human diets. New Zealand Herald, 12/17. Many Factor4 customers report improved focus and clarity with regular use! According to the American Congress of Obstetricians and Gynecologists, being overweight or obese during pregnancy is linked with an increased risk of gestational diabetes, cesarean delivery and preeclampsia (high blood pressure) for the mother; as well as prematurity, stillbirth and excessive weight at birth for the fetus, according to the American Congress of Obstetricians and Gynecologists (ACOG). The ACOG recommends that women who are already obese when they become pregnant speak with their OB-GYN to make sure they gain the appropriate amount of weight for their health and their baby during pregnancy. The Institute of Medicine recommends normal-weight women (BMI between 18.5 and 24.9) gain 25 to 35 pounds during pregnancy, and underweight women (BMI of less than 18.5) gain 28 to 40 pounds, but overweight woman (BMI between 25 and 29.9) gain 15 to 25 pounds, and obese women (BMI of 30 and over) gain 11 to 20 pounds. Women who are overweight or obese during pregnancy should be offered nutrition counseling, and encouraged to follow an exercise program, the ACOG says. According to Dr. Scheele, Factor4 Weight Control® is an important aid for women who want to normalize their body weights during their reproductive years to avoid the metabolic risks associated with pregnancy and child-bearing. Researchers at Cardiff University in the U.K. studied 2,235 men and found that those who adopted all five, or even four, of these healthy behaviors experienced a 60 percent reduction in dementia and overall cognitive decline (with exercise being the strongest mitigating factor). Seventy percent fewer cases of heart disease, diabetes, and stroke were found in those men, compared to people who didn’t practice any of the behaviors. According to Dr. Scheele, the good news is that Factor4 Weight Control® promotes all five of these lifestyle changes and ensures success in maintaining metabolic and cognitive health as you age. Although some overweight or obese people have normal cholesterol, glucose levels and blood pressure — elements of so-called metabolic health — a new study suggests that obesity by itself increases the risk for heart disease, stroke, diabetes and death. Researchers analyzed 12 studies that had together followed more than 61,000 adults, most for at least 10 years. About 9 percent of the subjects were obese and metabolically healthy — that is, they had normal LDL, HDL and total cholesterol, along with healthy blood pressure and blood sugar levels. The report was published online last week in Annals of Internal Medicine. Compared with metabolically healthy people of normal weight, the obese group had a 24 percent increased risk for fatal and nonfatal cardiovascular events like heart attack and stroke, and for death by any cause. Increasing body mass went along with decreasingly healthy waist circumference, blood pressure and insulin resistance. It was not associated with increases in triglycerides, glucose or LDL cholesterol levels, which are also risk factors for cardiovascular disease. Factor4 is here to help with natural weight control, give it a try by clicking on the order button on the navigation, you won’t be disappointed! Other risk factors include being overweight, being physically inactive, and drinking too much alcohol. But people can reduce their risk by quitting smoking, eating a healthy diet and maintaining a healthy weight, and being physically active. Further, cholesterol and blood pressure – as well as diabetes and heart disease — also raise stroke risk. The good news is that Factor4 Weight Control® combats each of the risk factors described above as it normalizes body weight and promotes healthy lifestyles with increased satiety, improved diet, exercise, sleep, attitude, and less dependency on sugar, caffeine, nicotine and alcohol. According to Dr. Scheele the numerous benefits derived from Factor4 Weight Control® can be expected to lower adverse cardiovascular events like heart attacks and stroke. You can’t eat while you’re asleep, but that’s not the only benefit from getting enough sleep if you’re trying to control your weight. 225 people ages 22 to 50 spent 18 days in a sleep lab without exercise where researchers could measure what they ate and how long they slept. When people stayed up into the early morning, they went for more calories: When they were up from 10 p.m. to 4 a.m., they consumed more than 550 calories on average. In addition, the calories consumed during these late hours were higher in fat. The average gain for the sleep-restricted people was a couple of pounds. The study was conducted by Andrea Spaeth of the University of Pennsylvania’s Perelman School of Medicine and published in the journal Sleep was supported by the National Institutes of Health. Studies have shown that taking a Factor4 shake before bed time will not only help you sleep better but help curb those late night cravings and temptations – That’s a WIN – WIN in my book so what are you waiting for? Losing weight is hard. Keeping yourself from gaining weight may not be easy, but at least it’s not as hard as losing it. Researchers at Duke University have been looking at what they call the “maintain, don’t gain” approach. They checked data on 97 black women in an intervention group in which each woman was in a program that included personalized goals for diet and physical activity to maintain their weight. He compared them with another 97 who got the basic weight loss counseling. Gary Bennett and researchers at Duke University published in JAMA Internal Medicine. At NovaLife, our studies of customers using Factor4 Weight Control® for maintenance after using it to loose their weight are generally healthier and have more energy. The benefits of taking Factor4 as part of your regular diet to maintain metabolic balance and assist you in maintaining a healthy lifestyle are considerable. Factor4 is not just a weight loss product but a healthy supplement to anyone’s diet that restores health and vitality striped away from years of the Modern American Diet. Contact the Doctor for more information on how Factor4 can help you. · Commercial drinks for little kids are packed with sugar, which may lead to weight problems later on. · In a national survey on 9,600 children who were followed at ages 9 months and 2, 4 and 5 years children who consumed sugary drinks regularly were more likely to be overweight and obese at age 5. · Body weight increased over time with the amount of sugar, and was quite noticeable at age 4 and 5. · The study recommends that kids be given water and milk rather than sugar-sweetened drinks. We recommend water as it also helps with brain function and many schools now ask children to bring a water bottle to school. Factor4 helps immensely with hydration in all ages and should be considered as part of your diet to curb cravings and balance your metabolic pathways. Stimulant not recommended for long-term use. It increases heart rate and elevates blood pressure. Pulmonary hypertension a rare side effect. In addition to satiety, this ingredient is known to cause fatigue, confusion, and nausea. A generic epilepsy & migraine drug that can also cause tingling in the fingers and toes and diminish memory and concentration (called by some the “stupid pill” because the patient goes around in a fog). Topomax during pregnancy led to a 2-fold to 5-fold greater risk of babies with cleft lips or palates. Besides the drug regimen, the patient must exercise and take a low calorie diet with supplements. Over the past year the FDA has approved two weight loss drugs for commercialization. One is called Belviq® by Arena Pharmaceuticals. The other is Qsymia® by Vivus Pharmaceuticals. Both of these products, under different names, together with a third product called Contrave® by Orexigen Pharmaceuticals, were rejected by the FDA in 2011 for relatively poor efficacy and potential harmful side-effects. So what made the FDA change it mind about the two products that were recently approved? The Advisory Committee for Weight Loss products at the FDA switched sides and became concerned that there were not enough tools for doctors to treat overweight disorders and obesity. They came to believe that the potential benefits of turning the tide in obesity out-weigh the potential side-effects of these drugs. The agency appears to be increasingly concerned about assessing the tangible benefits of weight loss in terms of improving health and quality of life, according to Janet Woodcock, the current head of the FDA. Some of the recent advisors believe there is a strong need for new obesity drugs to help bridge a treatment gap between diet and exercise, on the one hand, and bariatric surgery on the other. Factor4 Weight Control® was formulated to use nature’s gift, all-natural Power Amino Acids®, to harness the body’s own feedback mechanisms to tame appetite, re-balance metabolism, and normalize body weight. While Factor4 stimulates fat metabolism by reducing food intake, the formula ensures that essential nutrition is maintained through the intake of amino acids and backup protein. Factor4 is therefore anabolic, designed to increase muscle tone and metabolic health. According to Dr. Scheele, other weight-loss drugs are considered catabolic, with the potential to lead to muscle weakness and poor metabolic health as food intake is reduced. Which one of the three products listed in the above table would you take? 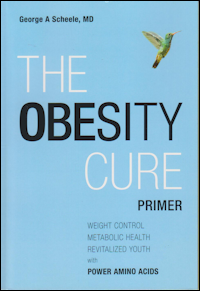 At Last, a breakthrough in nutritional science that identifies the cause and solution to OBESITY, the #1 cause of metabolic disease…Dr. George Scheele’s new book on Amazon. 4% reduction in body fat in both groups (trend for greater fat loss at higher protein but no statistical significance. Burgers, doughnuts, pizza. Stay up real late working or studying, and your body seems to crave them. Carrots and apples, not so much. Why is that? Researchers have measured people’s food choices and imaged their brain activity after a night’s sleep and after a night with no sleep. They found people preferred junk food after the sleepless night, and their sleep-deprived brains showed less capacity to make “good-for-you” choices and more “I wanna” choices. So if you get enough sleep, you may choose better and eat more healthfully. This Article published recently in the NY times reviews the latest Diet Pills but leaves out all the information on Side Effects! Factor4 has no side effects, is not a Pharmaceutical and works naturally to restore your metabolic system resulting in healthy weight loss and over 50 healthy benefits! Which would you choose? Americans spend tens of billions of dollars each year to lose weight — gym memberships, Weight Watchers and other programs, operations, nutritional supplements and whatever the latest diet fad might be. But the first new prescription weight-loss drug to reach the market in 13 years is having a hard time winning even a tiny slice of that huge market, despite an apparent need. Sales of the drug, Qsymia (pronounced Kyoo-sim-EE-ah), have been minuscule since it went on sale last September. Sales totaled only $4.1 million in the first quarter of this year, even as Vivus, the manufacturer, spent $45 million on marketing, sales and administrative expenses. Vivus’s stock price has plunged to $12.41 from $29 on the day after Qsymia was approved last July. And the company’s largest shareholder, saying the drug’s introduction was horribly botched, is battling to oust the entire board and top management at Vivus’s annual shareholder meeting on July 15. More than a corporate drama, however, the slow start of Qsymia raises questions about what role prescription drugs really can play in combating the nation’s epidemic of obesity. While there are some problems unique to Qsymia, it is also facing barriers that are likely to confront other weight-loss drugs as well, including Belviq, a drug from Arena Pharmaceuticals and Eisai, that went on sale last month. Another drug, Contrave from Orexigen Therapeutics, is in advanced clinical trials. These obstacles include lack of insurance reimbursement, modest weight loss, safety concerns, the troubled history of diet drugs, and a feeling on the part of many doctors and obese people themselves that excess weight is a lifestyle issue best addressed by more willpower, rather than a disease that requires medical treatment. “You’ve got this turning of the battleship to change how the medical community views obesity,” said Dr. Barbara Troupin, vice president for scientific communications and risk management at Vivus. The attitude is turning at least a little. Last month, the American Medical Association, the nation’s largest group of doctors, declared obesity a disease. In April, the American Association of Clinical Endocrinologists included weight-loss drugs in its diabetes treatment guidelines. Given that one-third of American adults are obese and another third merely overweight, an effective and safe diet pill would seem like the path to instant riches. Jack Lief, the chief executive of Arena Pharmaceuticals, said in 2009 that sales of obesity drugs could eclipse those of statins, the cholesterol-lowering pills like Pfizer’s Lipitor, which had peak annual sales of about $13 billion before falling to generic competition. Yet no prescription drug for obesity has ever reached annual sales of even $1 billion, the lower boundary of what the pharmaceutical industry considers a blockbuster. While it is estimated that more than two million people take weight-loss drugs, the vast majority using the old generic appetite-suppressor phentermine, that is still only a tiny fraction of the 70 million or more obese adults. And patients typically give up on the drugs quickly. An analysis of prescription data by the Food and Drug Administration found that only one quarter of people kept using a drug for at least three months, and only 10 percent for at least 180 days. One reason is that many people don’t lose much weight. The clinical trials showed that those taking the recommended dose of Qysmia lost an average of 7.8 percent of their weight after a year. At that rate, a 250-pound person would end up at about 230 pounds. Some people can do better than average, however. Marty McNamara, who started taking Qsymia in November, said he had dropped from 424 to 332 pounds as his appetite has virtually disappeared. Mr. McNamara, a 6-foot 5-inch highway maintenance worker from Ridgecrest, Calif., said he now eats only fruit for lunch. Diet pills have been plagued by safety issues that have marred the image of the class. Two drugs used as part of the popular fen-phen combination were taken off the market in 1997 for damaging heart valves. In 2010, Abbott’s Meridia was withdrawn after a study suggested it might raise the risk of heart attacks and strokes. Neither Qsymia nor Belviq has won approval in Europe, in part because of safety concerns. And Consumer Reports advises people to skip what it calls “quick-fix weight-loss drugs” because “their benefits are usually minimal and their adverse effects can be troublesome.” It urges people to lose weight the tried-and-true way, by dieting and exercising. The main safety concern with Qsymia is that it might cause birth defects. For that reason, the F.D.A. required that the drug be distributed through only a handful of mail-order pharmacies, a cumbersome process for doctors and patients. Recently, however, the agency agreed that qualified retail pharmacies could also dispense the drug. Vivus said on Monday that Qsymia was now available through 8,000 retail drugstores, removing a major barrier to sales. “I feel we have been held in check driving around the pit lane, without being able to go out and put this formula racecar to the test,” said Peter Y. Tam, the president of Vivus, which is based in Mountain View, Calif. But there are still other roadblocks. Medicare Part D does not cover weight-loss drugs, although a bill was just introduced to change that. Only about one-third of Americans with private insurance have coverage for the drug, but often with co-payments of $50 a month or more. People without coverage will pay at least $150 a month. “Most people don’t find that amount of money is worth it for that amount of weight loss,” said Dr. Ethan Lazarus, a weight-loss specialist in Denver. Dr. Lazarus said that only about five of his 600 active patients were on Qsymia. Qsymia is a combination of two generic drugs, phentermine and topiramate. Dr. Lazarus said he sometimes prescribed the two generic drugs, which can cost as little as $40 a month. The drug companies and other backers of the drug make the case that since obesity contributes to numerous other ailments like diabetes and heart disease, use of the pills to lower weight might actually produce a net savings for insurers, patients and Medicare. Because of the cost and cumbersome distribution system, when Qsymia first went on sale, as many as 30 percent of the prescriptions were abandoned before being filled. To counter that, Vivus is now offering the first two weeks of Qsymia free and is limiting out of pocket costs to $75 for the next month. It hopes that by the end of the first six weeks, people will have started to lose enough weight to stay on the drug. Terri Baker of Houston is approaching that point now. Ms. Baker said she had not lost any weight yet, but said the drug made soda taste flat to her, allowing her to break her soft-drink habit. She plans to give the drug some more time, even though it will now cost her $150 a month. Another problem for Qsymia is lack of resources. 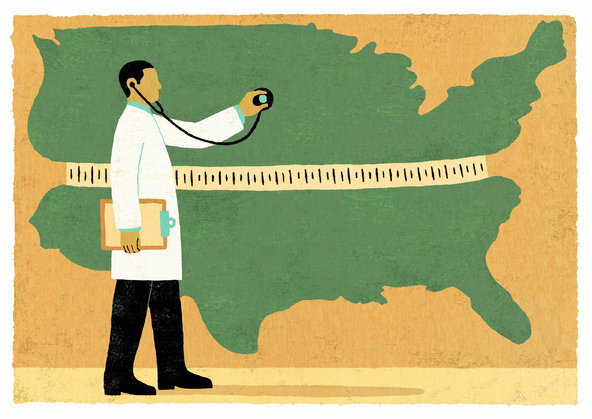 Vivus has only 150 sales representatives, far too few to reach primary-care physicians. Its disgruntled biggest shareholder, the First Manhattan Company, says one of Vivus’s biggest mistakes was not to enlist a big pharmaceutical company to help it sell the drug. Vivus executives say they planned to target mainly endocrinologists first, but are now talking with larger pharmaceutical companies. They also say the company plans to start direct-to-consumer advertising in the fall. Meantime, the company saysthat its strategy is falling into place, with retail pharmacies coming on line and organizations like the Veterans Health Administration and pharmacy benefits manager Express Scripts agreeing to pay for the drug. Qsymia had been prescribed by 15,000 doctors to 40,000 patients as of the end of March, the company says, but prescriptions have risen since then. right time and it’s time is now! Most people know that obesity can result in serious health problems, yet many of us continue to focus on its cosmetic consequences rather than its risks to health. This distorted view may change now that the American Medical Association has finally labeled obesity a disease, not just a risk factor for other disorders. Last month, the organization recognized that obesity is a verifiable illness that warrants far more attention than physicians, patients and insurers currently give it. The designation may change how aggressively doctors treat obesity, foster the development of new therapies, and lead to better coverage byinsurers. After all, the price of not treating obesity is now in the stratosphere. Obesity-related health conditions cost the nation more than $150 billion and result in an estimated 300,000 premature deaths each year. If the population’s weight gain is not soon capped (or better yet, reversed), experts predict that half of adults in America will be obese by 2040. The A.M.A. has said in effect that it is medicine’s responsibility to provide the knowledge and tools needed to curb this runaway epidemic. On June 19, James Gandolfini, the hefty award-winning actor who portrayed Tony Soprano in “The Sopranos,” died at 51, apparently of a heart attack, while on vacation in Italy. Even if genetics played a role, Mr. Gandolfini’s weight contributed significantly to his risk of sudden cardiac death. Not a week earlier, a 46-year-old member of my family who weighed over 300 pounds died suddenly of what might have been a heart attack while dozing in front of the television. 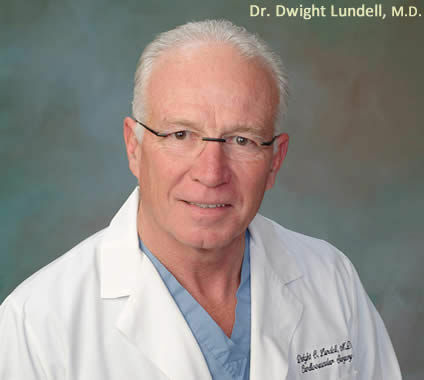 He had long suffered from sleep apnea (a risk factor for sudden death), high blood pressure and severe gout, all results of his extreme weight. Fran Saunders, a 62-year-old Brooklynite, is determined to avoid a similar fate. At 4 feet 11 inches tall and 157 pounds, she was clinically obese. She was sent for blood tests when she complained of a vision problem that could have been related to her weight. All her lab readings — total cholesterol, triglycerides, blood sugar — were seriously abnormal. Her doctor said she was a heart attack waiting to happen. But “the bad news was a blessing in disguise,” she told me. Though she had long been a regular at the gym, she knew it was time to get her diet on a healthier track to lower her cholesterol, her risk of developing diabetes and her chances of dying prematurely. She now monitors what she eats and how much she exercises with a free cellphone app, My Fitness Pal. Gradual weight loss started almost overnight at a pound or two a week. Although her goal weight is 110 to 115 pounds, her blood test results improved significantly after she lost just seven pounds. The list of problems obesity can cause should be a call to action for the one-third of American adults who are obese. Heart Disease and Stroke Obesity can raise levels of artery-damaging triglycerides and LDL cholesterol, and lower levels of protective HDL cholesterol. This raises the risk of atherosclerosis tenfold by fostering a buildup of plaque in arteries that feed the heart and brain. The chest pains of angina occur when the heart cannot get enough oxygen-rich blood through plaque-clogged arteries. A piece of plaque can break off at any time and block a narrowed artery, causing a heart attack or stroke. Obesity also strains the heart and can lead to heart failure — a heart unable to pump the blood necessary to supply the body with adequate oxygen and nutrients. High Blood Pressure Excess body fat increases the volume of blood the heart must pump to supply all tissues with nutrients and oxygen. This increases the pressure on artery walls, which contributes to heart disease, stroke and kidney failure. Type 2 Diabetes Obesity impairs the body’s ability to use insulin to maintain normal blood sugar levels. Diabetes, in turn, is a leading cause of heart disease, stroke, kidney disease and blindness. Once a late-in-life disease, Type 2 diabetes now is often seen in overweight children. Even being moderately overweight can lead to insulin resistance, in which the body becomes insensitive to the hormone. The condition can be reversed by weight loss. Joint Disease The more weight a person carries, the greater the stress on joints and the risk of developing painful, incapacitating osteoarthritis in the knees, hips and lower back. Obesity is a major reason for the sharp rise in costly joint replacements. Excess weight can also cause premature failure of an artificial joint. Breathing Problems In addition to causing shortness of breath during physical exertion, obesity is the leading cause of obstructive sleep apnea — breathing stops periodically during sleep, followed by an abrupt intake of air and loud snoring. Apnea disrupts sleep and results in daytime drowsiness that can cause accidents. Cancer People who are obese are at increased risk of developing cancers of the colon, breast, endometrium, esophagus, pancreas, kidney, thyroid and gallbladder. One possible reason: increased amounts of growth factor in obese people may promote tumor development. Metabolic Syndrome One-third of overweight and obese people have a constellation of six factors that seriously raise the risk of cardiovascular disease: abdominal obesity, high blood pressure, high cholesterol, insulin resistance, excessive clotting factors and inflammatory compounds in the bloodstream. Abdominal fat is especially hazardous because it is metabolically active, unlike relatively inert fat on the hips and thighs. The list of obesity’s hazards goes on: infertility in women, pregnancy problems, gallstones and gout, not to mention emotional disorders, social ostracism and employment discrimination. The first step toward avoiding all of these is a simple calculation to determine whether you are at risk. The most frequently used measure is body mass index, calculated by dividing weight in kilograms by height in centimeters squared. The National Heart, Lung and Blood Institute, among others, offers a free calculator online. In general, a B.M.I. of 30 or more indicates obesity, but B.M.I. can be misleading if heavy bones and big muscles account for a large portion of someone’s weight. A simpler measure is a waistline as large as or larger than a person’s hips. Overweight typically starts at a waist of 40 inches for men and 35 inches for women. The easiest assessment of all? Stand naked in front of a mirror and honestly assess the contribution that fat is making to your body’s composition. It’s not hard to see. 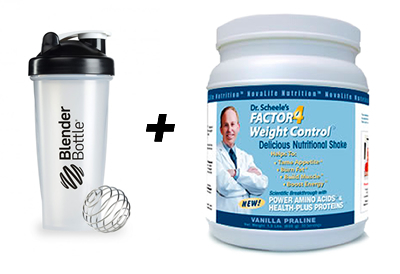 The solution to the disease: Factor4 Weight Control® with Power Amino Acids®! Sugary diets and weight problems remain a central health issue. Whether obesity should be called a disease has long been debated. The Obesity Society officially issued its support for classifying obesity as a disease in 2008, with Mr. Downey as one of the authors of the paper. The Internal Revenue Service has said that obesity treatments can qualify for tax deductions. In 2004, Medicare removed language from its coverage manual saying obesity was not a disease. Still, Medicare Part D, the prescription drug benefit, includes weight loss drugs among those it will not pay for, along with drugs for hair growth and erectile dysfunction. The vote of the A.M.A. House of Delegates went against the conclusions of the association’s Council on Science and Public Health, which had studied the issue over the last year. The council said that obesity should not be considered a disease mainly because the measure usually used to define obesity, the body mass index, is simplistic and flawed. Some people with a B.M.I. above the level that usually defines obesity are perfectly healthy while others below it can have dangerous levels of body fat and metabolic problems associated with obesity. “Given the existing limitations of B.M.I. to diagnose obesity in clinical practice, it is unclear that recognizing obesity as a disease, as opposed to a ‘condition’ or ‘disorder,’ will result in improved health outcomes,” the council wrote. The council summarized the arguments for and against calling obesity a disease. One reason in favor, it said, was that it would reduce the stigma of obesity that stems from the widespread perception that it is simply the result of eating too much or exercising too little. Some doctors say that people do not have full control over their weight. Supporters of the disease classification also say it fits some medical criteria of a disease, such as impairing body function. Those arguing against it say that there are no specific symptoms associated with it and that it is more a risk factor for other conditions than a disease in its own right. They also say that “medicalizing” obesity by declaring it a disease would define one-third of Americans as being ill and could lead to more reliance on costly drugs and surgery rather than lifestyle changes. Some people might be overtreated because their B.M.I. was above a line designating them as having a disease, even though they were healthy. The delegates rejected the conclusion of the council and voted instead in favor of a resolution pushed by the American Association of Clinical Endocrinologists, the American College of Cardiology and some other organizations. This resolution argued that obesity was a “multimetabolic and hormonal disease state” that leads to unfavorable outcomes like Type 2 diabetes and cardiovascular disease. “The suggestion that obesity is not a disease but rather a consequence of a chosen lifestyle exemplified by overeating and/or inactivity is equivalent to suggesting that lung cancer is not a disease because it was brought about by individual choice to smoke cigarettes,” the resolution said. A study indicates that women who eat at least three servings a week of fish with omega-3 fatty acids have a lower risk of polyps that could develop into colon cancer. Vanderbilt University researcher Harvey Murff saw this in data on people who reported what they ate and who had colonoscopies – exams to check for polyps. The report in the American Journal of Clinical Nutrition was supported by the National Institutes of Health. HHS Healthbeat cites a study indicating that women who eat at least 3 servings a week of fish with omega-3 fatty acids have a lower risk of heart disease, cancer, and colonic polyps. An A1C test can help to diagnose diabetes. That’s because an A1C test measures the sugar glucose attached to a specific blood protein, hemoglobin, which stays in the blood about three months. By comparison, the standard blood test for glucose is at a single point in time. At the Clinical Center of the National Institutes of Health, Dr. David Sacks also says the usual blood tests for glucose require at least an eight hour fast. He notes the A1C does not. The NIH has a new fact sheet to help people understand the AIC test. HHS Healthbeat explains that “An A1C test can help to diagnose diabetes. That’s because an A1C test measures the sugar glucose attached to a specific blood protein, hemoglobin, which stays in the blood about three months”, helping to diagnose diabetes. Your Hemoglobin A1c should be below 6 if you are in good health. An active video game doesn’t necessarily make a kid more active. A new study of 78 children, ages 9 to 12, shows that kids were no more or less active when playing an active video game. Dr. Tom Baranowski is a professor of pediatrics at the Baylor College of Medicine and Texas Children’s Hospital. Experts say children should get 60 minutes of activity a day for good health. The study in the journal Pediatrics was supported by the National Institutes of Health. Raw milk has its following, but experts say the followers are putting themselves at risk – and their children and families, too. Raw milk is nonpasteurized, which means it has not been treated against germs that can be found in cows – even if the cow looks healthy. Some people think raw milk is better, but researcher Adam Langer of the Centers for Disease Control and Prevention knows what happens to people who drink it. He says some raw milk drinkers have wound up needing weeks of kidney dialysis, and even ventilators to help them breathe. The study is in the CDC journal Emerging Infectious Diseases. Increase your protein and amino acids with Factor4 Health. Pregnant women…watch your diet. What you eat can affect both you and your newborn. Gestational diabetes is a common pregnancy complication that can affect both you and your baby. Data from 13,000 women participating in the Nurses’ Health Study II show high fat intake can put you at risk. 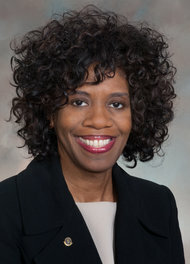 Dr. Katherine Bowers is a research fellow at the National Institutes of Health. Women with higher dietary cholesterol also had an increased risk. A healthy diet can help you reduce your risk. The study was in the American Journal of Clinical Nutrition. HHS Healthbeat says that women with high intakes of animal fat and cholesterol more frequently develop gestational diabetes during their pregnancies. Body Mass Index, or BMI, is a reliable indicator of body fatness based on your height and weight, and places you in one of three categories; normal, overweight or obese. Which are you? A new smartphone app from the National Institutes of Health can let your phone tell you. HHS Healthbeat says Body Mass Index, or BMI, is a reliable indicator of body fatness based on your height and weight, and places you in one of three categories; normal, overweight or obese. Which are you?